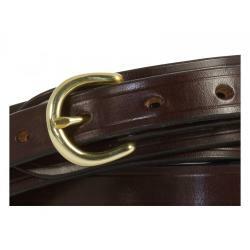 A sale is very rare at The Worcestershire Leather Company, as we make our complete range of Bridle Leather Belts and quality products to order. But, rather than our goods being left to age once photographed for our website and promotions, we would like our customers to have these original firsts (not used seconds*) at a substantial discount. 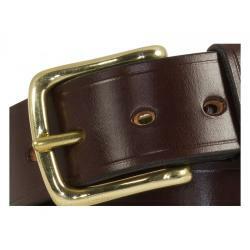 Our Studio Stock of quality Leather Belts for Sale provides the same extraordinary standard and quality of our all our leather goods. From Bridle Leather Belts to Leather Wallets, our exclusive collection offers a variety of styles and colours at an attractive discounted cost – with no compromise on quality. 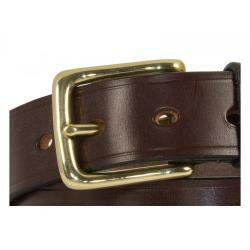 For further information on our selection of Leather Belts for Sale, please click one of the images below, or click here to contact us. 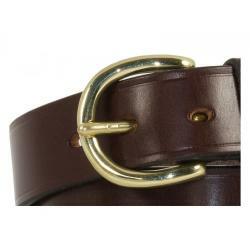 Broadway Bridle Leather Belt in Nut & Brass - Size 34" - 7 holes @ 3/4" spacing - slight marks around holes area.